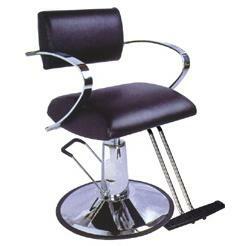 Hydraulic Styling Chair for children. 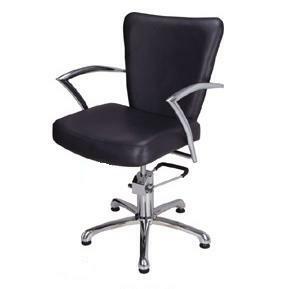 has black upholstery and chrome metal finish. 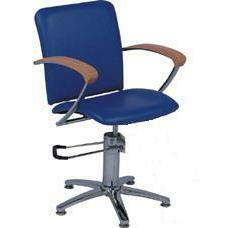 This Styling Chair includes removable footrest. Features: Black upholstery. 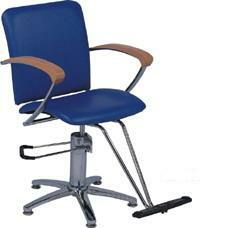 This Hydraulic Styling Chair also includes a removable footrest. 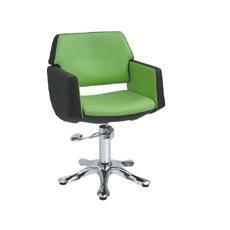 is available in all black or black and green upholstery. 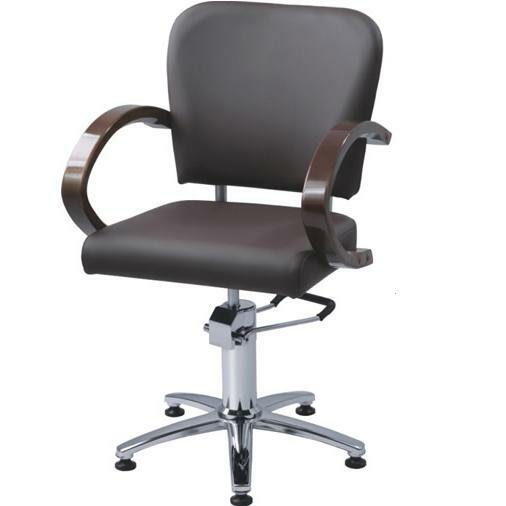 This Salon Chair has a chrome metal base finish. with black upholstery and timber arms. 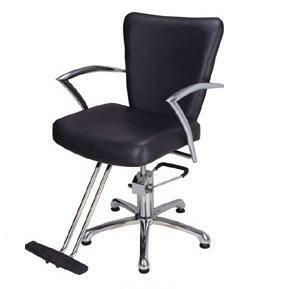 This Styling Chair comes with 5 feet and a chrome metal finish. also includes a removable footrest. 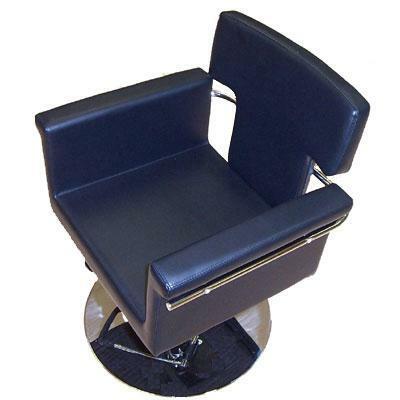 Suitable as Hairdressing Salon Cutting Chairs. 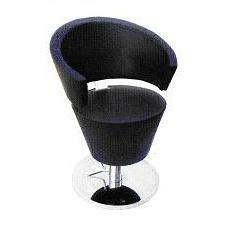 has black upholstery and chrome metal finish. 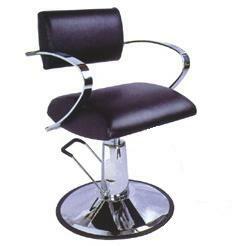 Suitable as Hairdressing Salon Chairs. comes with black upholstery and a chrome metal finish. 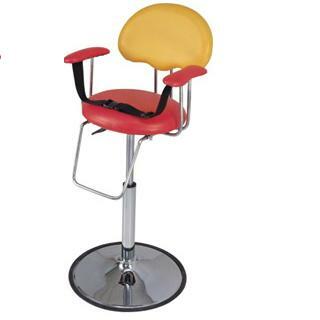 A popular Hair Salon Chair.